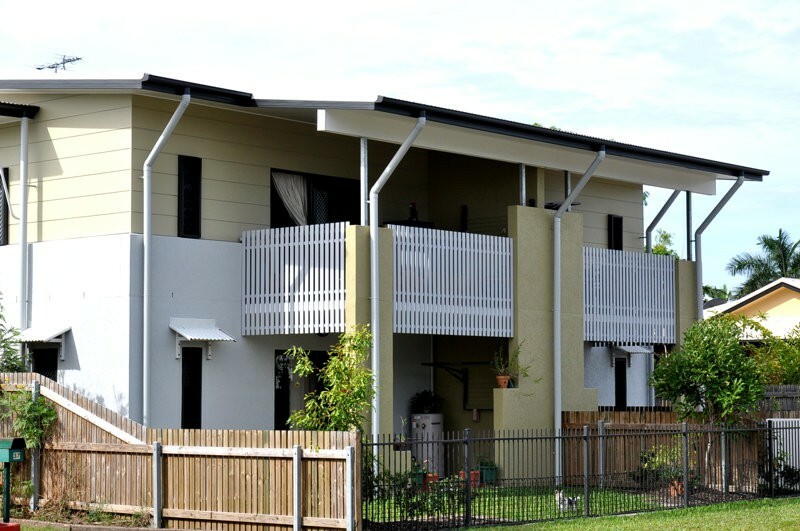 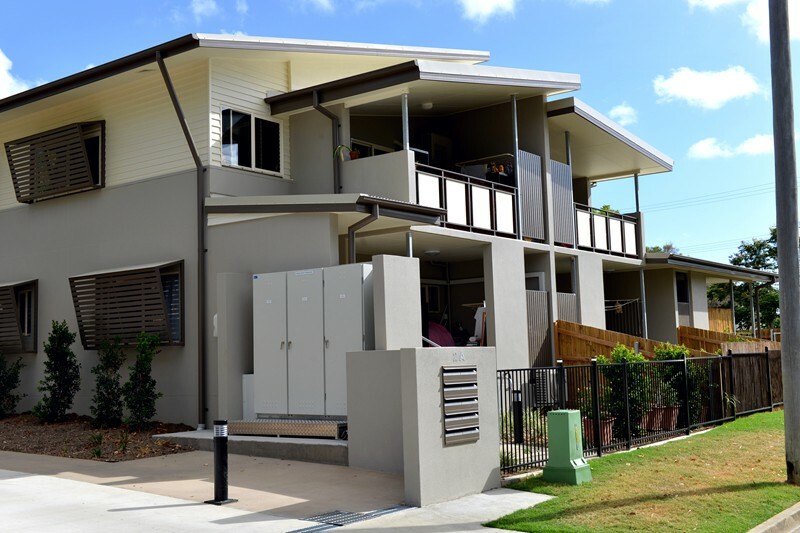 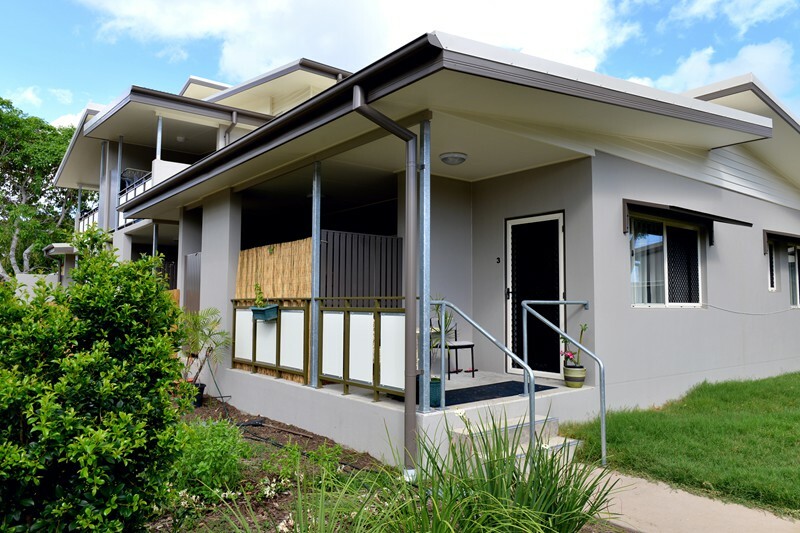 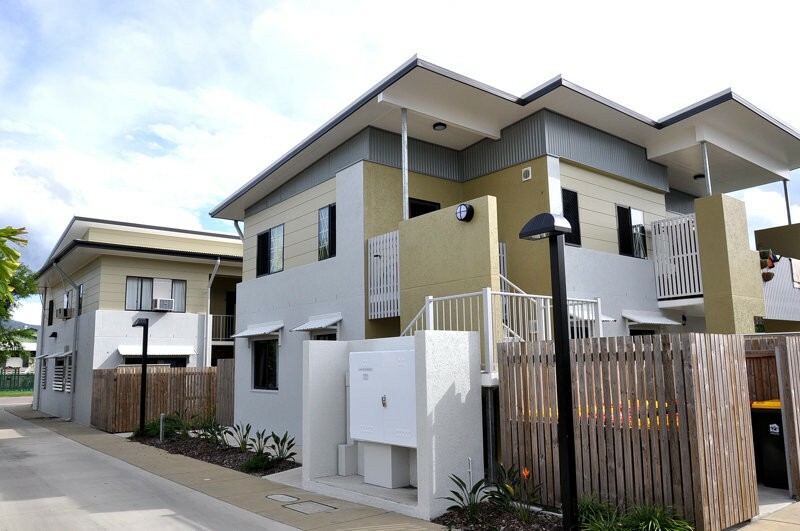 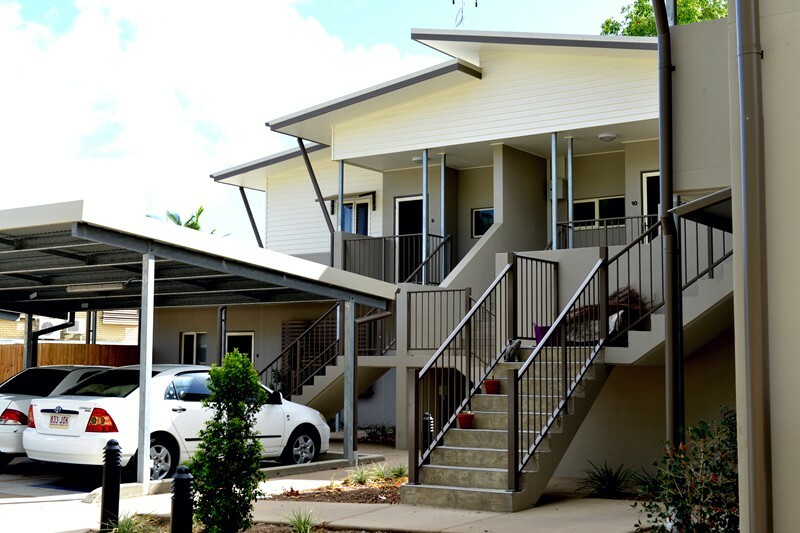 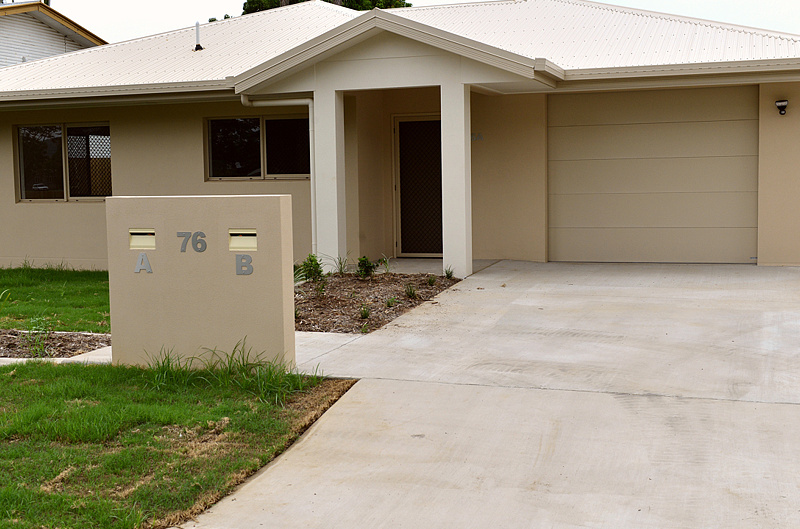 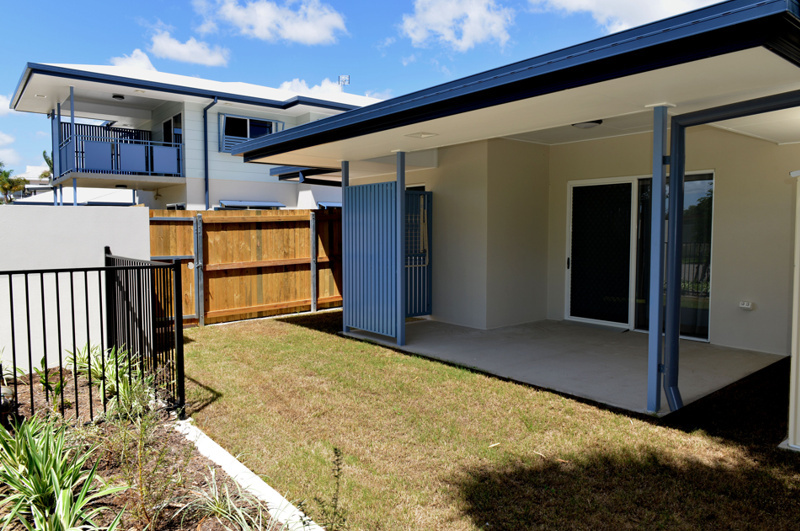 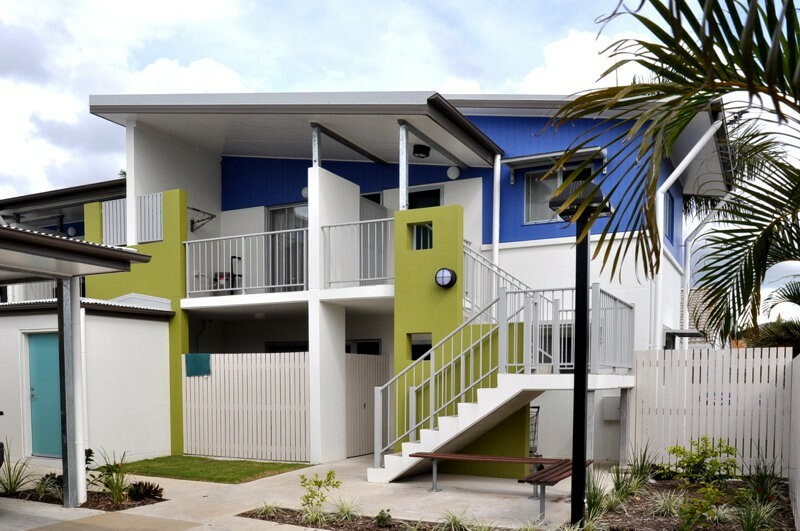 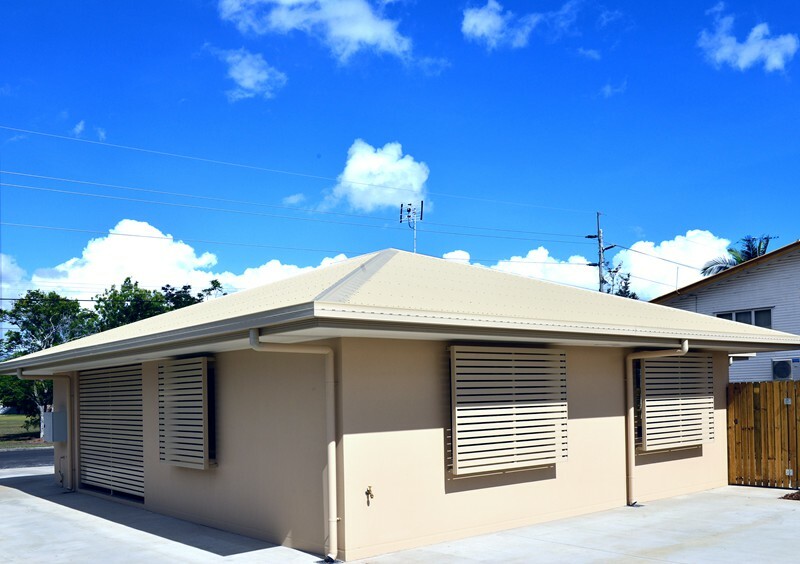 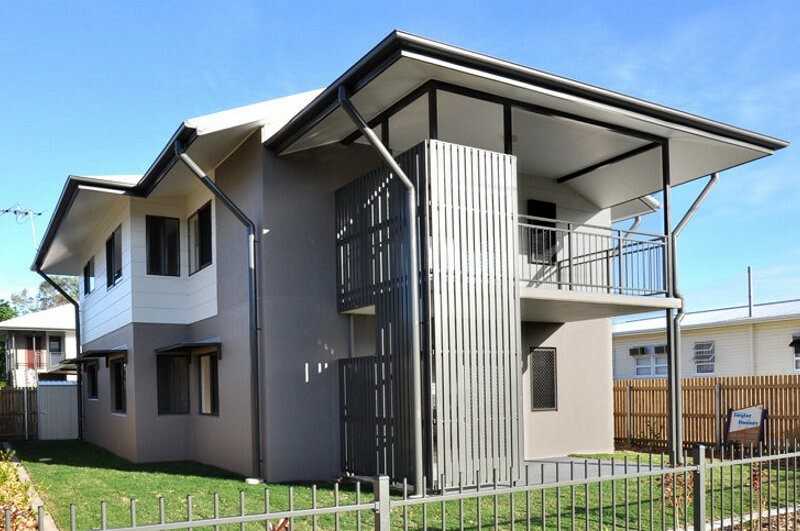 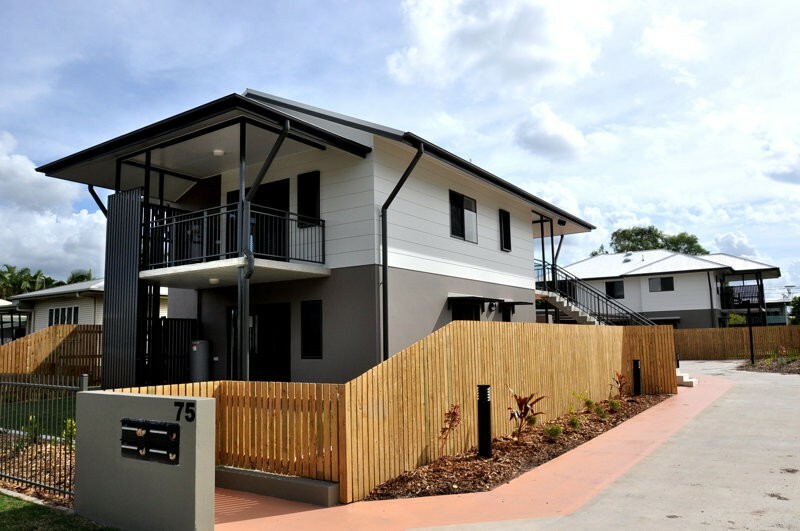 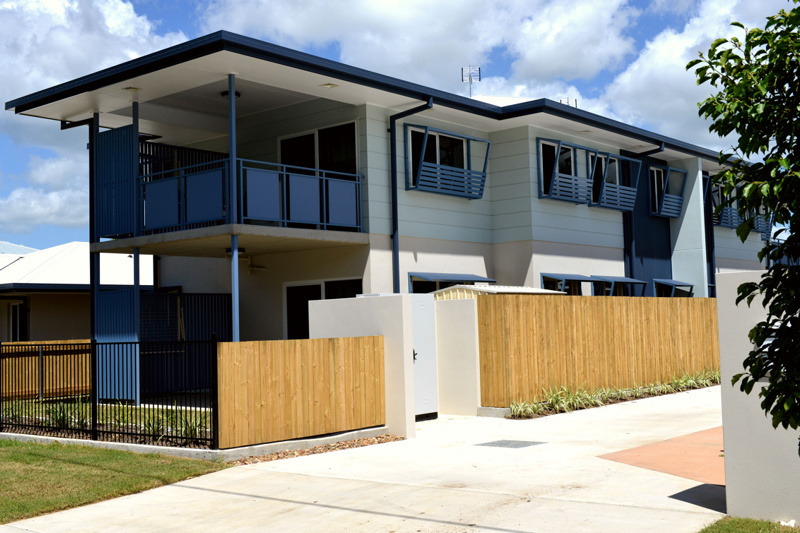 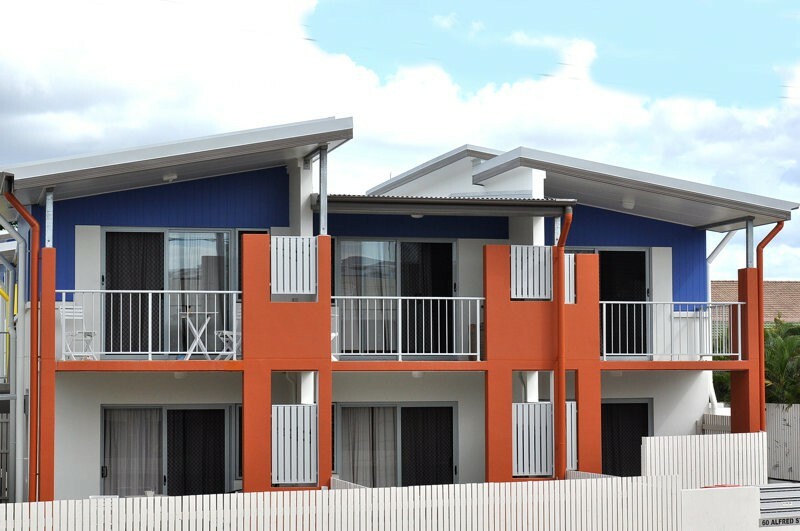 These impressive units were constructed for the Department of Housing providing much needed community housing in Townsville. 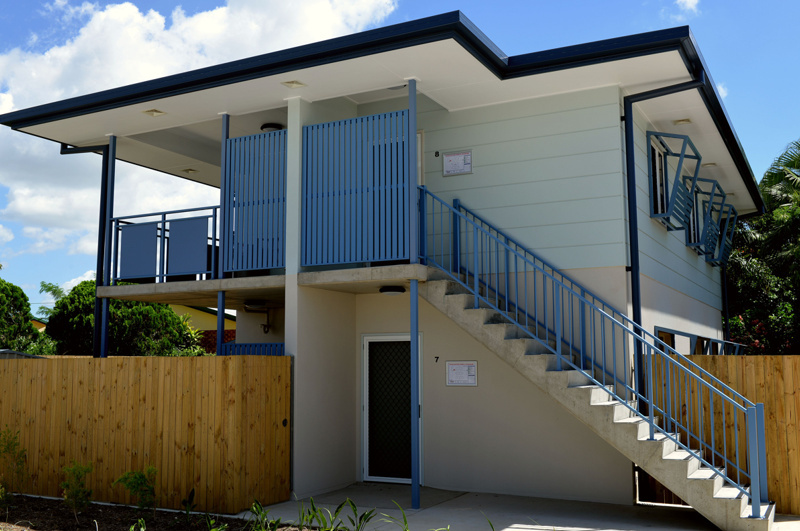 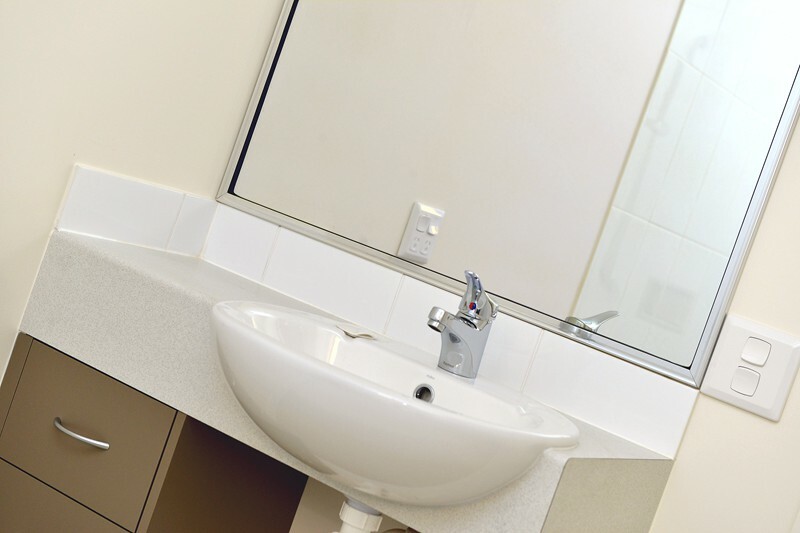 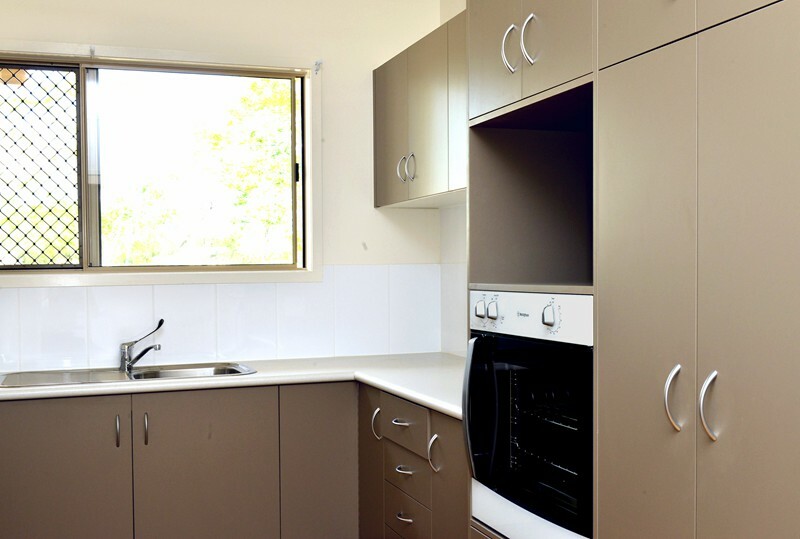 Making public housing look and feel modern and vibrant helps to change public perceptions of these complexes while providing disadvantaged members of the community comfortable and modern accommodation that they can call home. 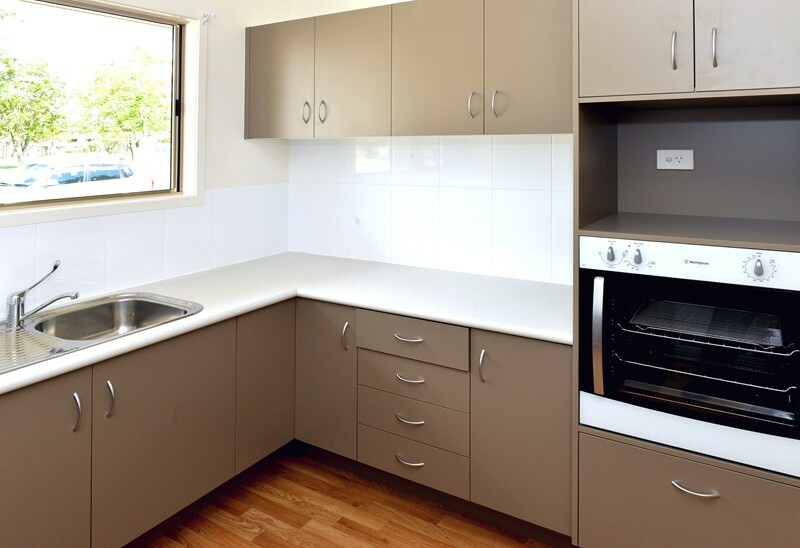 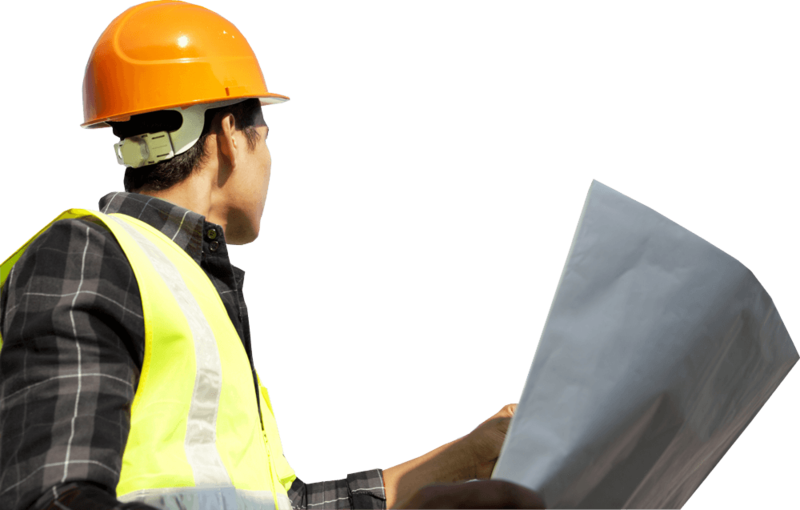 The construction and inclusions are of a high standard, thereby providing the tenants with improved and tailored facilities. 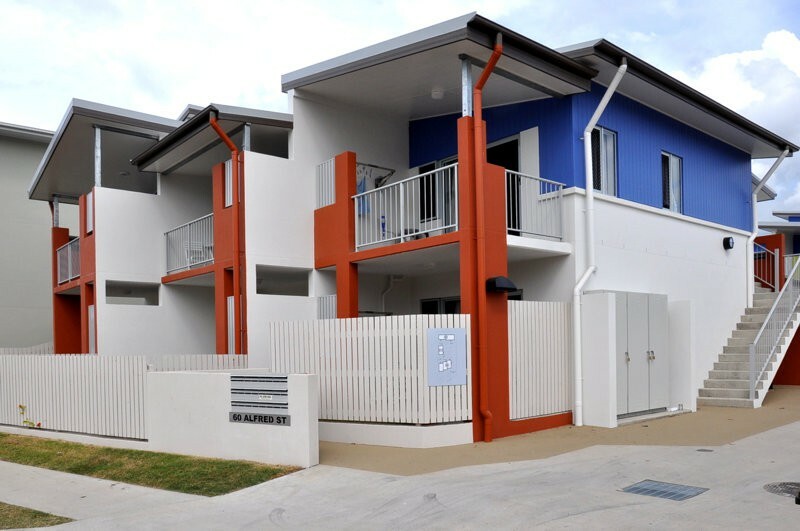 The design provides a communal atmosphere in an easy living design with easy off street parking, courtyards and low maintenance landscaping. 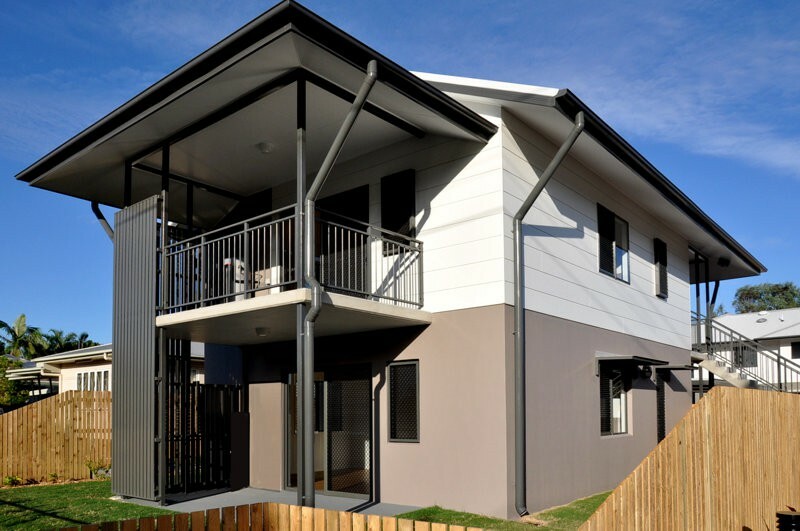 The two bedroom duplex designed to Platinum standard requirements, have all accesses and facilities to meet the client’s needs. 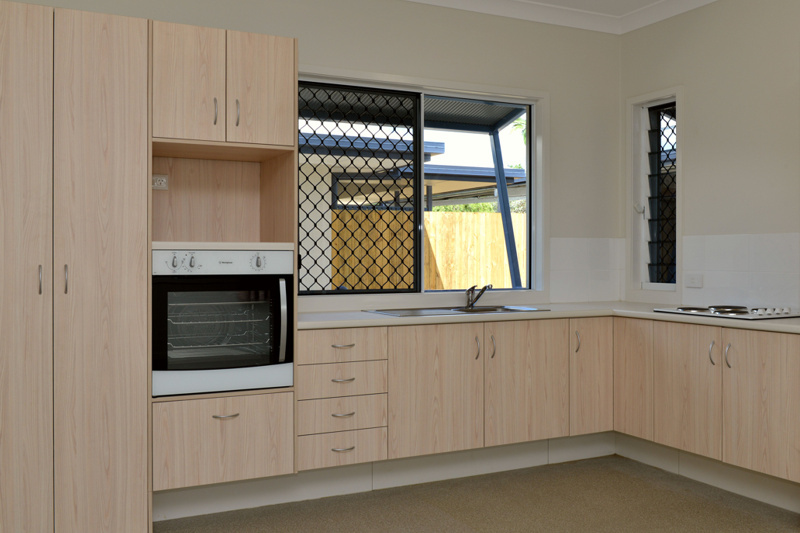 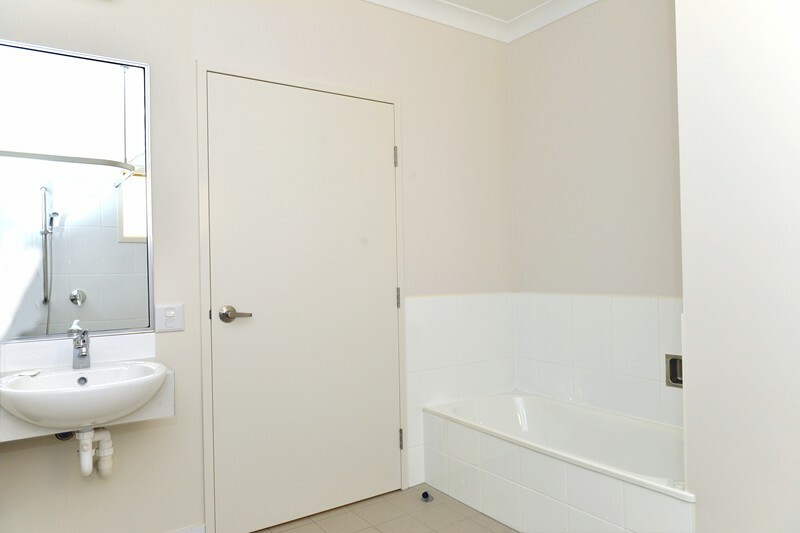 Kitchens and bathrooms tailored specifically with large doorways and passages. 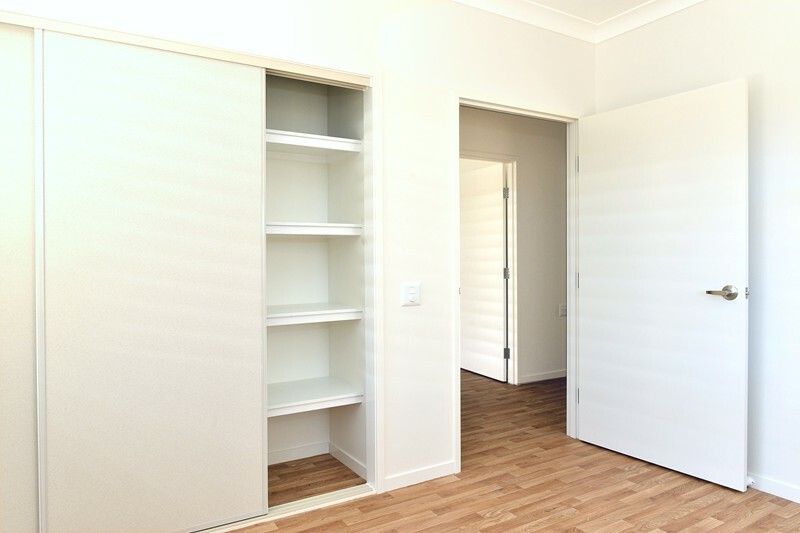 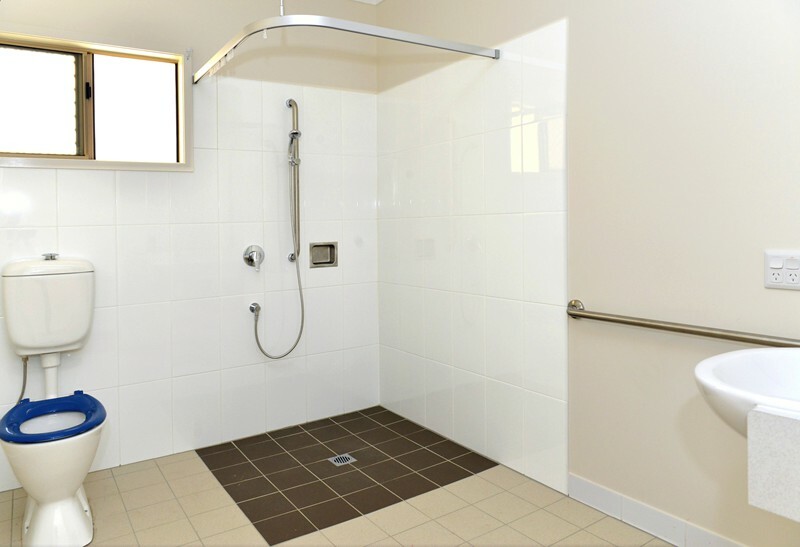 Minimal thresholds for ease of access throughout the property. 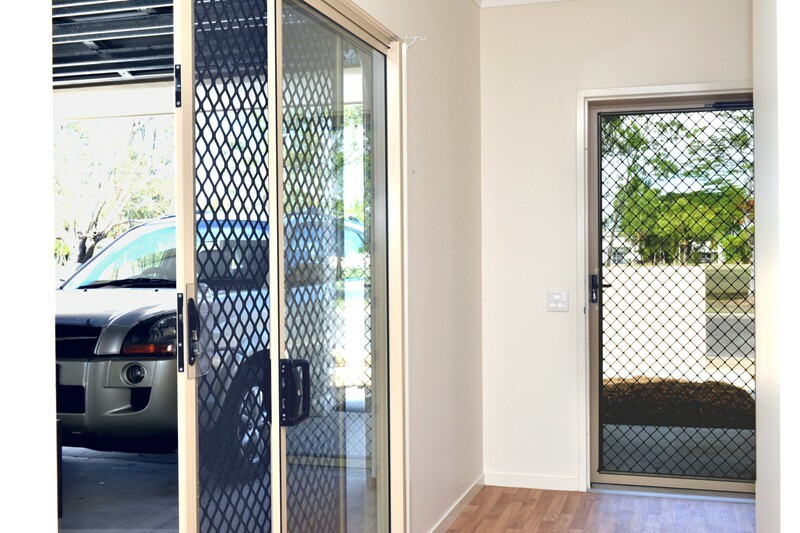 Remote control garage doors allow for residents to transfer from the car to the house through a large glass sliding door. 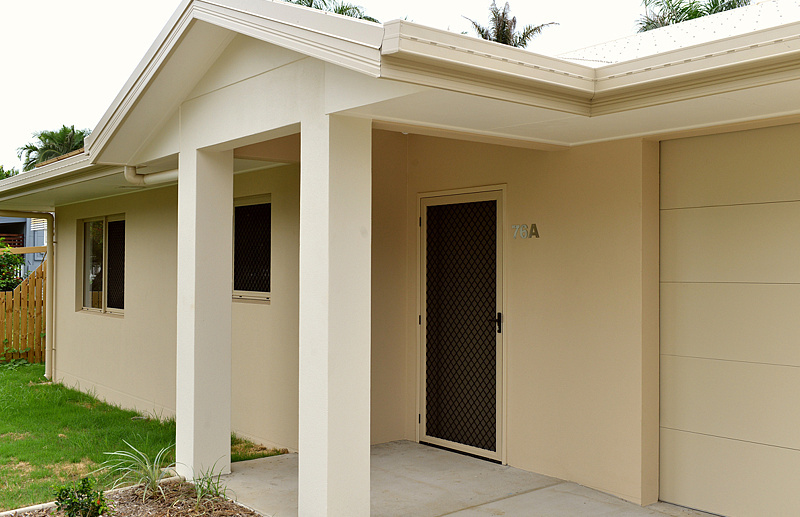 Privacy is maintained with screening to windows adjoining the driveway and paths.